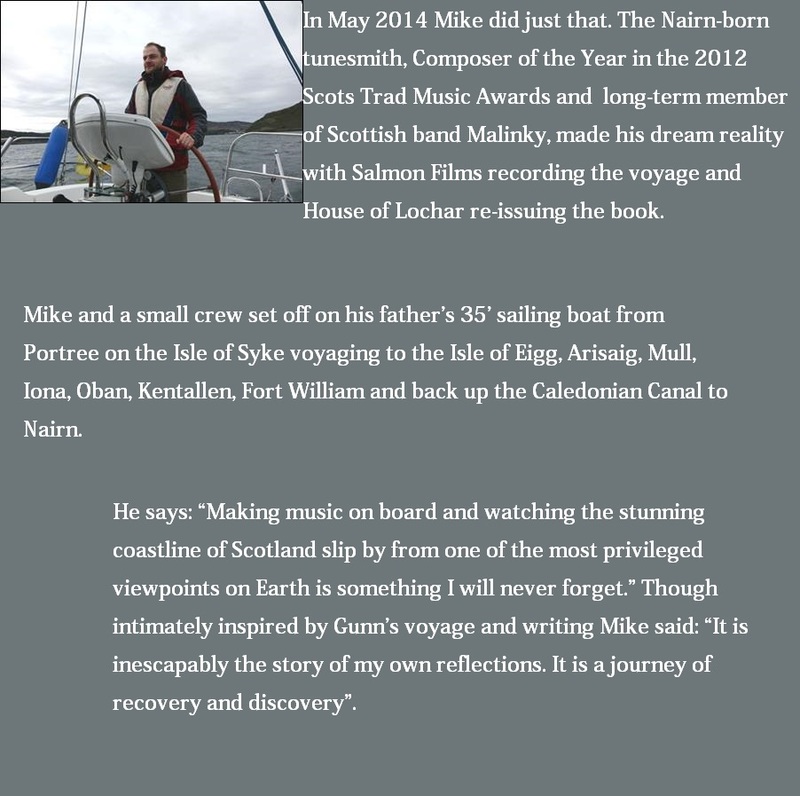 The 10-track recording, recently nominated for the Scottish Album of the Year Award, featured samples of “found sound” recorded on the trip (from flapping flags to Tobermory clock chime) and live instruments captured later in the studio. Highly original and genre-hopping across folk, classical and electronic styles, it is a suite of music that ebbs and flows, variously subtle and symphonic. 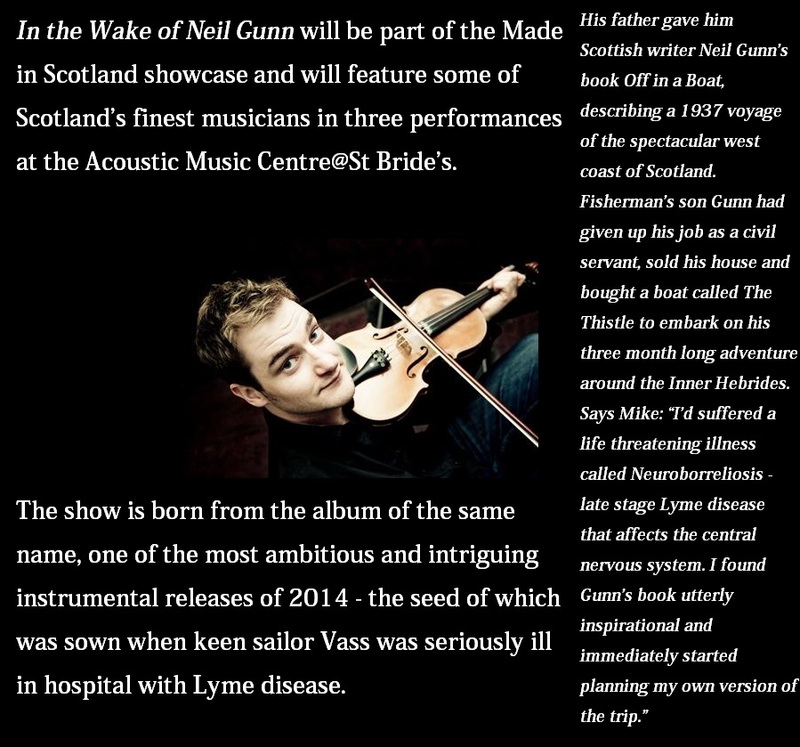 At the Fringe shows Mike will be joined by some of Scotland’s foremost traditional musicians who also featured on the album. While Mike plays tenor guitar and masterminds the sampling, Jennifer Port plays oboe and clarsach (Celtic harp), Hamish Napier is on piano and flute, Euan Burton plays double bass and Innes Watson plays guitar. Adding to the filmic sound is The Cairn String Quartet of Katie Rush and Catherine Robertson on violin, Annemarie McGahon on viola and Susan Applebe on cello. 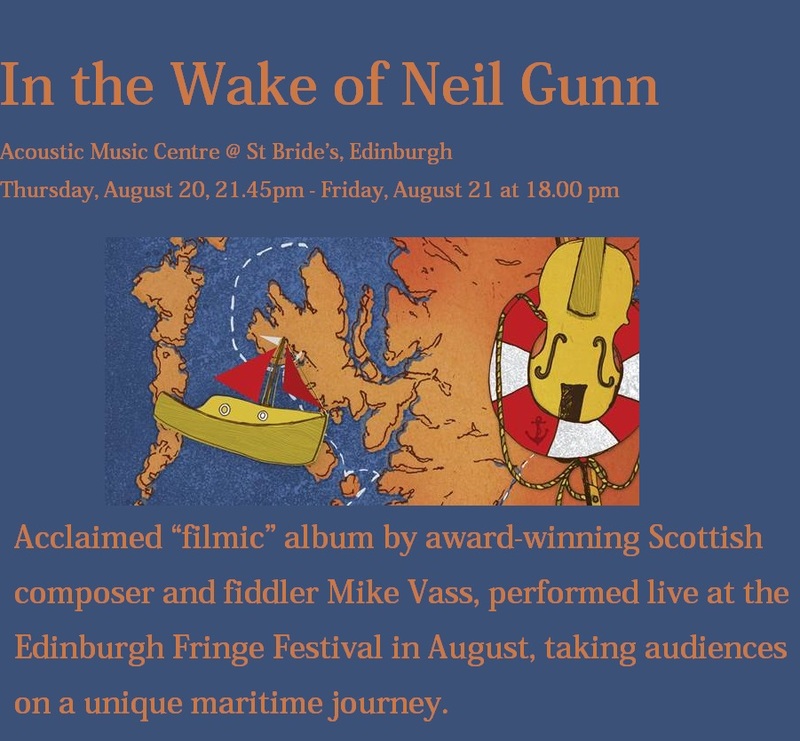 The performance will integrate traditional, classical and electronic elements alongside film, photography and spoken extracts from Gunn’s work – vividly evoking the moods of the sea, weather and landscape in one memorable musical-maritime experience.